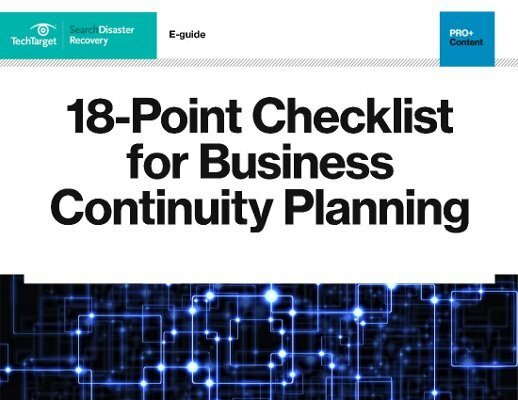 The planning phase is crucial to the success of any disaster recovery (DR) initiative. This topic section provides administrators with up-to-date news and how-to information about the personnel, staffing, training and documentation needs related to DR. In addition, this section discusses the best practices for mitigating risks, analyzing potential business impacts, personnel issues, documentation, change control and performing RTO and RPO assessments. Assurance Software's new analytics and dashboard feature allows companies to monitor the health and readiness of their business continuity programs and pinpoint areas of weakness. Everbridge has launched an application that provides organizations the ability to manage a critical event throughout its lifecycle through a dynamic dashboard. U.S.-based Assurance Software's merger with U.K.-based ClearView extends the business continuity providers' international reach, helping customers who do business globally.